"A good HR platform can make the difference"
It was very easy for me to stay organized when I was on boarded by having everything in one place. Now that I have been here a while, it is a great platform for being able to keep up with my important documents. It's also great to be able to see payroll and have access to all my paystubs. The convenience of being able to request time off and see how many PTO hours I have available are also a plus as well. If documents need to be signed, I am alerted of those on the home page of the site. You can customize your personal home page as well. I do not have very much that I dislike as I am not too familiar with other HR software out in the market. Occasionally I get updates that they will be doing site maintenance but never at times that I need to get onto my page. A good HR platform can make it easy on employees. The business problems that we are solving are making sure that as an employee, I am up to date with the current HR documents. I also know when pay day will be. Additionally, I can always see how much PTO I have available and can request time off as needed. The benefits that I have realized are that because I have everything in one place from my employer, I am able to focus more on my role with the company and less on HR related tasks. "Absolutely crap for actual employees"
At least it shows my vacation time accurately. HOW CAN YOU HAVE A PUNCH CARD WITHOUT AN IN AND OUT BUTTON. Oh my god. No one on my team likes this app. We are constantly unsure if we are punched in or out. It takes something like a day to pop up whether I did it right and by then half the time I've been punched 'in' overnight for no reason. If you're in it for tracking hours, find something better. I have emailed them my suggestions and was not responded to. Apparently our HR person also contacted them asking for improvements but I haven't seen any changes. This thing is less efficient than jotting my hours on a napkin. Paying people I guess, but I spend more time emailing my manager the alterations he has to make to my timecard due to this interface than I do actually using the app. "Could use some updates, but overall reliable!" I like that right when I log into the system, on the landing page most of the highlights I am looking for are there. The system is somewhat simple to maneuver as a user, I will note my dislikes below of course. You are able to store and print past pay stubs, which is nice. You are also able to run reports to track various things. As stated above, I do have many dislikes. If you want to update anything on your record or view a pay stub ahead of time to see how much you will be making, you can't do that. It doesn't track your days accrued and time you can take off. I have to go to HR to check. I don't know if this is just us or not. Our system seems pretty simple and not kept up to date. One last thing, this system is hard to set-up, so if you don't have a dedicated web or IT personnel, it is time consuming. I would recommend doing a deep dive of the system with a representative. You might also be able to do a trial run as well. I do not know of any that we are currently going through at this time. Benefits are, reduction in going to HR for information. We don't focus too heavily on this system, so training is small and the actions we can do are pretty minute. Again, see if you can get an overview of everything they have to offer for you. We can access the employee record from the pay data grid which really helps to check the earnings and deductions, figure out what might need to be adjusted, make the adjustment right in the pay data grid and recalculate. It is very easy to use and understand. The time and attendance is a great tool for tracking time off and scheduling different leaves for staff, and it's easy to make a change to the reason or day. Reporting is the best feature what I like about Paycor Perform. We can customize and share reports with others in our Team. Also love we can schedule reports to run and email out. The best thing about Paycor is they really care about their customer. Their team is always ready to help. It requires proper training to use. Its has many features which are I feel not useful. Sometimes setting up benefits packages are too tough. After clicking on ok we have to go with multiple steps. I feel sometimes which time consuming. I feel the user interface could be more better. Its a great software, I highly recommend it. We have solved many problems related to HR, Payroll, Benefits and reporting. Ease of use. I have the app on my phone and after a few runs, I can navigate the dashboard pretty well. I like having my vacation and paid time off right there when I log in, as that is what I tend to use the system the most for (me personally). I am not a fan of the online portal constantly telling me I need to generate a code, that is sent to my email, what will then be used for me to open the site on the same computer I always use. We currently do not integrate with any other system. We did have ADP and that was okay for our usage, but Paycor appears more user friendly from our hourly warehouse workers to our executive staff. There is no math needed for time off benefits, and having an employee request time off, straight to the approval manager and back to HR is a dream. Just a click and you are don! The menu is on the left side of the page once you log in and it is very easy to navigate. You can also easily report on different parts of the system for all employees or navigate from employee to emplyee to compare different areas. The system also allows you to approve PTO requests from the app, which is great when you are constantly in meetings as a department manager. It also allows you to add a PTO request to your calendar so you can better keep track of when your employees are out of the office. The system doesn't have the ability to approve a PTO request from the email you receive (you basically have to login and go to a different section of Paycor to approve time off for employees). On-boarding new employees, storing employee data and getting acknowledgments on handbooks and other documents employees need to sign. The Perform platform is very intuitive and easy to use. Processing payroll is so simple now! I also love that there are great standard reports and creating my own custom reports to see anything I want is super easy! They switched not too long ago to a group email that you use when you have questions. It's rare that I need assistance, but the response time when I had a dedicated account manager was quicker than it is now. Ease of payroll processing, reporting, and keeping up with the ever changing payroll taxes and legal changes over multiple states. It's also easy for employees to access their pay stubs and tax statements. I like using Paycor as our payroll system. It's easy to learn and very user friendly. The staff is very knowledgable and are easy to work with. The system has it's quirks but has a lot of perks about it as well. Sometimes our "rep" is unavailable and it's hard to find the right person to answer the questions I have. There is a team of people that can generally answer any questions that I might have regarding any issues. I would recommend Paycor- they are easy to work with and usually respond to my questions in a respectable amount of time. I have an account rep that I work with closely, but there is also a team of individuals that are readily available to help me with my reports. Sometimes, I just tell them what my goal of a report is and they will build the report for me. It's nice to have a system to outsource our payroll on. They answer questions for the most part and help pull certain reports if needed. We get audited frequently and are always asked for lots of reports that contain different information. I certainly feel that I am able to go to the team at Paycor to help me find what I need. Some of the reports are quite lengthy and not only do they build the report for me, they show me how to do it myself so that I am able to use it moving forward. Entering payroll is easy. Entering employees is easy. Updating direct deposit and addresses is super simple. Customer service leaves a lot to be desired. Email is a better option than phone, but is still slow and cumbersome. No dedicated account reps. Changing tax info or adding new tax codes is a chore. If you need a flexible, simple, reliable payroll solution without a lot of interaction with customer support this is the option! Reasonable pricing, frequent updates keep performance top notch, and an all around good experience. Less stress thanks to having a reliable entry method for payroll and taxes. Much faster than our old solution and more reasonably priced as well! "Easy way to enter hours and view timecards"
I love that Paycor can be accessed from multiple computers, whether at work or at home. Additionally, being able to access previous timecards, paystubs, and W2s online is so much more convenient than keeping track of non-digital paperwork! Also, it is great that Paycor keeps track of benefits for users--available sick time, vacation time, and it lists holidays and other company changes. Sometimes Paycor doesn't work seamlessly on all browser types. Occasionally, it will not fully load in pages when I am using google chrome. Additionally, an app would be a really useful addition to Paycor. Being able to access all of this information on a phone app as opposed to on a phone browser would be very helpful. It would be helpful to be able to access Paycor on my phone with an app. That would be even more convenient than its already useful online features. I used Paycor to enter my hours worked, and to keep track of available sick time. It is highly beneficial to be able to see all of my hours and timecards in one place, and to be able to access previous paystubs. Additionally, getting my tax forms online is highly convenient! "HR Suite Does the Job"
How we have all our HR needs under one roof and have moved away from spreadsheets. I wish that they would fix the mobile app so if you submit a timesheet or time off that your supervisor will get a notice. Because it will not send email notifications we do not use the app which is a huge downside. In the end, I feel that Paycor does a nice job of handling our HR needs. I like that they have a feedback system so you can give suggestions for improvement. You have several consultants assigned to you for each "product area" such as Payroll, HR and Time & Attendance - that can be confusing sometimes. We have really streamlined our processes and are now able to not have different processes and spreadsheets all over the system. New employees can login and start going through paperwork prior to their first day of work eliminating a 2 hour orientation meeting with HR. "Good upgrade from previous software"
Paycor has a very user-friendly dashboard when you first log on to their page. Very clear tabs and bookmarks to take you exactly where you need to go. Nothing at this time. Everything is pretty easily laid out and simple to find. Give it a go. Based on previous workflow programs I've used, one page can guide you through all the steps. A lot of tasks can be completed from the Paycor site. You can look at paystubs, forms, and any requirements that need to be completed. i am able to navigate online without assistance, and every thing is online. I do not require much guidance for the most part. Most of the reports are readily available and downloadable online. I dislike the idea of not having a dedicated rep assigned to me. When you have a dedicated rep that has worked with you for a number of years, they know you, and almost everything about your account. -Making it easier, specifically when it comes to special annually payroll processing. I recommend Paycor Perform because it's your all in one payroll and HR service solution. You can easily pay employees from anywhere, manage the entire hiring process., and connect with new hires with reducing the amount of paperwork. PERFORM HR/PERFORM TIME are helpful resources that benefit KVK, and is a low cost built in to our payroll service. The automation and ease of use. Paycor allows us to set employees up and then let the payroll handle itself on cruise control. Not having to worry about payroll and W2's at the end of the year has been such burden lifted off the company. The only small thing I dislike is the Specialists assigned to take care of you change so often. I like knowing who my specialist is and being able to call and talk to that person. However, that person never seems to say the same for very long. I think they even stopped putting the person's name on our log in screen because it changed so often. As stated in the "What do you like best" section, taking the burden of the weekly payroll and monthly tax duties off the accounting team has been amazing. "Ok so far, not necessarily living up to expectations"
We were with a dinosaur previously so the user interface is a significant improvement. I also appreciate the fact that the site is mobile-friendly and that I can pull up data on the go. One rep on our implementation team was totally checked out and it made the process like pulling teeth. This individual ended up quitting at the tail-end of our implementation, which explains their lack of responsiveness. The current support reps are hit or miss... some are great and others can be aloof and even a bit rude. I also feel like we were sold some services that are non-existent (we were told that there was an org chart and now we're being told it is "in the pipeline" for future updates). Also, we were not told that our needs were too complex for the pretty, branded app and now we have to use a dated time and attendance app that will not work on most employee phones. We are still in the beginning stages of Paycor Peform so things aren't fully up and running just yet. "Always there when I need help"
They're very helpful and respond very promptly over the phone. I've always been able to count on them when I have any questions. Since they changed their response system (now you have a support team instead of your usual rep.) e-mail responses are a bit slower. I used to get a phone call from my rep usually within 1 hour from the time I sent him the e-mail, now it can take up to 24hrs. I can't find an answer online. "Paycor is a great system overall!" I use Paycor for two companies. Their customer service is outstanding; quick and friendly service all the time. I feel the Paycor website is user friendly and stores a lot of information on our employees. It is my go to website for any and all employee information. I would love to see Paycor integrate with Zenefits. The price can not be beat and the service is outstanding. All of my employee information and reports are at my fingertips with Paycor. It holds a great deal of valuable information and I am always using the Paycor platform for my needs. Payroll is so much easier to do now that we use Paycor. we are smaller company, 74 employees, and increased functionality over our big name provided at about half cost with much better customer service. They also keep improving their product with quarterly updates with much of the work based on customer suggestions. We have been using Paycor for almost a year now and the only issue I have is that I cannot use a custom field that is numeric in a calculation. Make certain you are clear on your opinions and needs before implememtation. We have started to modernize our HR department, electronic documents and filing, employee self service, etc. We have also started using their ATS, Newton, and we also love this product. I really like the combined modules for payroll and HR. It makes is much more time efficient to gather necessary information when completing reports, required forms, etc. I find it difficult to get standard reports that used to be available by just selecting a report title. For example, a simple "employee list" of current employees is very useful, but now I have to take the time to build each report I need. Too time consuming as compared to the previous application. Easier to toggle back and forth for employee info. Saves time researching employee info and history. "Best system I’ve used since I have been working"
What I like about paycor is that I can put in my request to take days off if I need to, change tax information , make decisions about my job benefits during my open enrollment month, check the amount of paid time off I have, I can print out my W2 form instead of waiting to get it in the mail. The paycor system overall is wonderful. Actually there is nothing to dislike about the system. I've had no problems at all using the paycor system in the past two years. Overall, paycor in my opinion is an excellent software and I feel that every company should use it. Basically, everything you need to do for your job, you can do it on paycor. I haven’t come across any business problems as of yet. The punch in options were good. We didn't get as far as receiving badges that could be scanned, but the machines were available in each breakroom and mechanic garage, which made it easy for employees to punch in no matter which part of the building they were in. Getting the info to the supervisors for them to approve was always easy for each division. Paycor is very overwhelming with the amount of data it can report to you. For a newbie like me, I was constantly calling my Paycor rep to walk me through things. Some of the help sections explained things as if you already had quite a grasp of the process, which I did not. Also, it was hard to get the multiple logins and passwords for each section straightened out. I never was able to see time and attendance though I'd requested that separate login a few times. It helped us keep a smooth payroll schedule, which cut down on time doing the process in house. Very easy to use and find exactly what you’re looking for. User interface is very clean and easy to navigate. You can find exactly what you're looking for relatively quickly. It's nice to have all things HR all in one spot. SSO is also a nice added bonus. No dislikes. Everything works very well. I haven't used it for very long to fully find out what I dislike about it, but as of now, it's too easy and simple to use to have any dislikes. I highly recommend it. Very easy to use, navigate, and manage. I believe the company moved from an older, less sophisticated HR platform to this one. So from an overall perspective this helped us solved every problem we had. "Paycor has simplified our daily business activities"
The ease of processing payroll, what used to take us an entire day and sometimes a day and a half is not completed in a few hours. I highly recommend this product. We are so pleased with the decision to implement this into our business. Time keeping management, reducing fraud from clocking in/out. There are numerous benefits, the system is easy to use and customize. We have immediate support from our support specialist. Paycor is user friendly, easy to navigate without direction, and reports are easy to create. Functions that I thought were basic to an HRIS apparently are not: labor allocation, future available time off hours, more than one management level of employee's, view employee W2's before they are finalized, etc. I switched from a previous system to Paycor due to difficulty in creating reports and customer service. Paycor does have an easy to use reporting function, however customer service has not been an improvement. Are my expectations of a system unrealistic?? I don't think so. I'm disappointed that they system is missing some basic functions, and customer service has declined since we started with them almost a year ago. "Reporting Could Use a Major Work"
1) Payroll processing is VERY easy for those of us who only have to process in the event of an emergency. 2) I also like that EEs can view some ancillary benefits info on the app. 3) I like the design on the home page and the scrolling communications banner. 1) In 2018, ad hoc reporting is a given, but not with Paycor. You're locked into certain fields from certain drop downs and it's extremely aggravating. Design and development really should consult with HR & Payroll professionals during the process. 2) We informed Paycor of our issues with Time and Attendance with our previous vendor and they repeatedly promised they could make it work. Well, it never did so we went to a stand-alone time-keeper. If ad hoc reporting is important or crucial to you,, this is not the product for you. None - we're only 6 months in, so we're still in discovery mode. "Paycor User for Nearly 2 Years "
I like the intuitiveness of Paycor. It's very easy to use and check your pay stubs, as well as sign up for health benefits. Submitting vacation time into Paycor can be a pain..it's too automated. Before you sign up for any benefits or input your bank information for direct deposit, watch a YouTube tutorial of Paycor (even if your HR director walks you through it.) YouTube Paycor tutorials are very helpful, especially since you want to make sure your information is correct. Especially since I work off-site, Paycor allows me (and the rest of my colleagues) to sign up for employee benefits, request time-off without having to talk to our supervisor, and check the status of our paychecks. I like that it allows employees to pull their pay stubs offline from wherever they are. It's really convenient having a digital copy instead of having to keep track of paper. I don't like that an employee has to be on site in order for them to see their hours worked for the current payperiod. I understand that this is to prevent people from clocking-in off site, but if they had a different section that would simply allow them to view their hours without clocking in, this would be better. I am a contingent employee, so it makes it difficult to know what I randomly worked unless I am on site. I do recommend Paycor to other companies because it is simple and easy to use and gets the job done. It is also easy for employees to request time off, clock in at different job sites, and access their pay information. It makes it easier on the HR and accounting department so that employees can pull their info right off the web instead of having to schedule appointment with these departments and take up unnecessary time. I like the payroll portion of Paycor. It is very easy to run payroll, maintain employee information and run reports. It also gives all pay history, so it makes it very easy to look up W-2s, paystubs, etc. The time and attendance section can be clunky. Overall it is good, but I wish it was a bit more user friendly. Also the reporting in time and attendance is not great. I definitely would recommend Paycor. They have helped us navigate all the new government regulations, especially with the ACA. They handled this very well and they definitely eased our worries. It is a very good software, you can handle everything in it, all HR functions, payroll and time and attendance. They definitely help keep us compliant with all the new government regulations. This has been a huge plus. We have cut down on the amount of time it has taken us to run payroll. Honestly I feel much better knowing we can trust Paycor with compliance issues. The staff is always nice, professional on the phone. The want to understand my need when they call. The staff gives me time to talk & doesn't interrupt. They know the system, how to navigate it. No one has ever talked down to me. You are given advance notice of any holidays that could effect the customer when running payroll. You get an followup email concerning everything: payroll was processed, sent, ups tracking,etc. I miss not having the same person to talk to when I call. Paycor went to 'team' program. I never get the same person twice. They only work on normal business hours, not Saturday/Sunday, or at night. Every one speaks English, non of the customer service people are ever in a hurry to get you off the phone. The pre loaded reports are always helpful. Paycor also went to a report system that the customer can specialize any type of data. I love the ease of use and how all the systems communicate to each other. It is very user friendly and if I am not sure how to do something I ask and the Paycor help team responds quickly. Love that I can now do open enrollment, track trainings and performance management all online now. The reporting function is not as extensive as I like. There is a different section for all the reports and I wish they would communicate together. Some of the sections also do not yield any results. When I asked why the help team said it just doesn’t work so that was disappointing. But a majority of the things I need from reports I can get quickly. Applicant tracking has never been easier. It saves me time with managing the hiring process. The new updates like the rating system has been very helpful for collecting ratings all in one place. Paycor is very user friendly but also has various useful segments. I like the neat set up and the fact that we do not have to search to find what we need. Everything is straight forward and visible on generally the first screen. It would be ideal to be able to see your pay stub in advance, opposed to the day of! Easy to track employee clock in/out times. The team at Paycor is always friendly and helpful. I'm usually able to get an answer to my questions within a few short minutes. It would be better if all their software was seamlessly integrated. They've taken a huge step forward with Perfom. Speak with a company currently using Paycor. I'm confident they'll only have positive things to say. Time management and improved training delivery and record keeping. "Good Platform, Could Use Tweaks"
It is easy to keep track of your time and schedule. Requesting time off is a simple process. Not sure if this is specific to my company, but it deducts 45 minutes for lunch regardless of how short or long the lunch actually was. Be careful when making punches, sometimes it glitches and the punches either don't go through or go through twice. We are able to keep track of our time cards without having to check in with a supervisor. I had the unique pleasure of implementing two different systems at one time for two different clients. I implemented Paycom and Paycor. 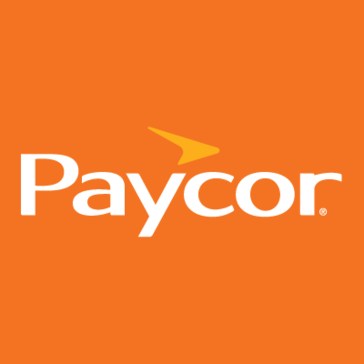 Paycor far out paces Paycom on all aspects of onboarding, HR and payroll. It is so easy to use and the implementation was a breeze. I will be recommending this product to future clients and will be moving the Paycom client over mid-next year as they are already extremely displeased with the product. So far the system has functioned just the way I want it to. "Great product and customer service "
"Upgrade & Review of Paycor Perform"
Everything (employee info, deductions, compensation, etc) is in one place - love it! Right now, learning the new steps of onboarding in Paycor Perform. Do it. It is a great way to keep all aspects of HR in one place. When doing garnishments and deductions, the ease of contained information makes my job more efficient. "Nice Payroll/Hr platform for small business"
The customer service experience is poor. There is a different rep for each module of the software. Paycor is a step in the right direction for a small organization trying to build efficiencies. It falls short if your are looking for a partnership within which you can grow. We used Paycor for payroll, onboarding, and some HR tracking. I really think that this is a great product for small or straightforward medium size organizations. Where we ran into trouble is due to the complex, multi specialist nature of our organization. "Good for payroll; limited in other areas"
Straightforward for running payroll. Price point works for small companies. Very, very limited in other areas like performance management, employee surveys. Benefits enrollment process is not user friendly -- user interface is hard to follow. Cost effective option for payroll and benefits administration. If you're looking for a robust HR tool, look elsewhere. Payroll, benefits enrollment, signing employee agreements. The way the system merges the payroll data with the HR data to have a one stop shop. The time and attendance system is antiquated and it would be nice to integrate that system with the HR and payroll data. We are housing all employee data in a single system eliminating paper employee files. "Had a lot of problems with set up and because of that my yearly W-2 were incorrect"
The people you speak to at customer service are very pleasant. Most have been very helpful. I think some of your people are not qualified in knowing taxes and deductions in payroll. I have had one issue that has been going on for 2 years and they keep telling me everything is correct they way it is set up and they would send it on to there tech department and I should get a call back when the issue is solved and to this day I still have not gotten a call back. We are in the process of adding the Benefits Administration solution and this has been pretty cumbersome. I highly recommend this product as efficient, cost-effective and easy to use. Payroll, time and attendance, ADA reporting, applicant tracking and onboarding. Employees find the time and attendance function easy to use. We use the Newton integration for recruiting and applicant tracking. Hires' information cant then be seamlessly transferred into Paycor. It's easy to view my paystub online. I can also adjust my W2. It's not as robust as other systems, and their CS don't all seem to be aligned. It's a great system but I did feel like the initial point of contact we had prior to implementation was significantly more helpful than the folks who implemented the software - things became a bit of a headache at that point. Other than that, the software performs as described. Customer service isn't always super helpful, but it has helped us streamline payroll. "Paycor is very reliable and easy to use"
Paycor is very reliable and easy to navigate through. It keeps all my paystubs with accuracy and is prompt on the post timeframes. There times when it is undergoing maintenance and I cannot access my information. It becomes a bit frustrating when I need data within a timeframe. Consider other platforms for hr based on the price but paycor is always a great option if it fits within budget. It keeps all my hr documents in check and it is a great platform for hr to depend on for form management. "One less thing on my plate"
It is easy for our manager to enter payroll. As a business owner, it is one less thing for me to worry about. All taxes are remitted and statements recorded, W-2's are sent and I receive an email when payroll is processed. I can't think of any negatives at this point. I haven't really compared the services/pricing of competitors, but this is the first time I've used such a service and I feel it is a good investment. Payroll processing. Benefits are that everything related to payroll is done. "Usually makes my job easier"
The phone system by having to go through a ton of prompts to just reach a live person. Its very inconvenient. I can never reach my "personal Paycor rep" and she rarely calls me back. I don't have to mess with tracking my employees wages or hours. it is all done for me. It is easy to use. The reports are informative. If we need a report customer service specialist help me to create a custom report. It takes care of ACA reporting easily. All payroll information is at your fingertips. An enhancement is needed to be able to edit the work location without subscribing to the Human Resources module. Paycor is far better than other payroll systems out there. I have used Paycor for probably 27 years at different companies I have worked for. I am still happy with it. One of the best features is the payroll GL import into our accounting software. The is generated in an Excel format which can be manipulated to provide fast and accurate information. "Challenging at First, But Easy with Time"
There's a mobile version of the site, very convenient. In the beginning it only worked if connected to the stadium's network. Problem was fixed by IT. We previously used to submit excel timesheets. Rather old school and time consuming, especially since we had specific color codes for different events. Involved some level of manual calculations. With Paycor, even though there were initial challenges it was convenient and gave us a quick way to punch in and not wait til near end of pay period to calculate and submit. Our organization has not migrated to the fully integrated system yet. I'm excited to do that. I think the company has a high degree of integrity and that's very important as we look for business partners. For a medium size organization, benefit enrollment was the first problem we tackled. Our employees are able to make changes that are sent to the carriers in a very seamless manner. AND there are less errors because less people touch the enrollment process. "It is an easy to use system with lots of options." Being able to easily navigate from one section to another and back when you need to quickly find information. It s nice to see when an employee has been fired or whatever, and then quickly jump back to the task I was doing. Kind of jumpy and clunky when scrolling through long lists of employees. sometimes is slow and takes time to catch up to where i am. I like having all of our employee data tracked and stored in one place rather than having to jump to multiple systems. Sometimes the system can be laggy and take longer than I’d expect data to load. I am still new to the program so I am not sure why this happens. We use it for storing all employee information, payroll, and benefits. * We monitor all Paycor Perform reviews to prevent fraudulent reviews and keep review quality high. We do not post reviews by company employees or direct competitors. Validated reviews require the user to submit a screenshot of the product containing their user ID, in order to verify a user is an actual user of the product. Hi there! Are you looking to implement a solution like Paycor Perform?